The world of shirtings is not as confusing as suitings. As outlined in two Permanent Style pieces (on English mills and Italian mills), there is a huge variation of mills, brands and integration in tailoring cloths that can be very confusing. Shirtings are simpler. But it’s still probably worth setting out who the players are, how they interact, and whether you should consider any of it when looking through books at a bespoke shirtmaker. The biggest player by some way is Albini (above). Founded in 1876, it has gone through a period of expansion since the 1990s under Silvio Albini. It bought British brand Thomas Mason in 1992 when the shirting mill (the last significant one in the UK) closed down. It has since also acquired David & John Anderson and Albiate. 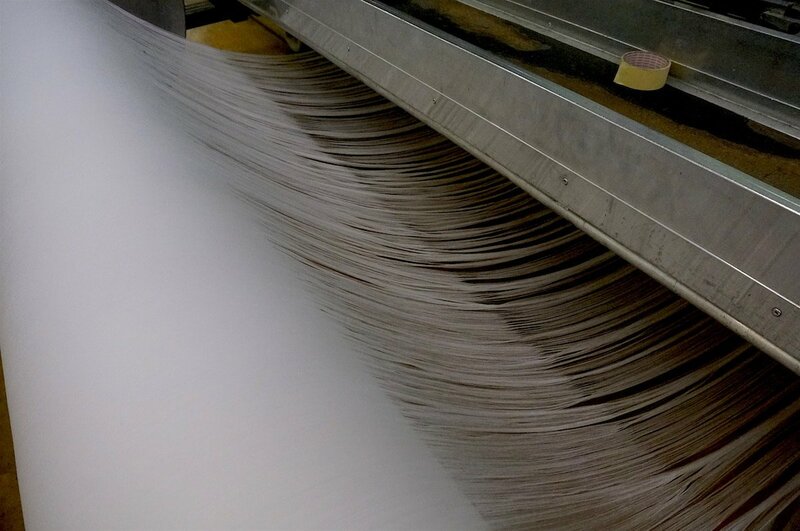 The company has more recently had a policy of vertical integration, buying up some of its partners for spinning and dyeing, for example, and looking at making its own products. Next on the scale in terms of size are fellow Italians Monti and Canclini. Monti (founded 1911) has gradually moved a lot of its production to India, but still makes some in Italy. It also includes both shirting production and garment manufacturing under its group. The brand most consumers will see from the Monti group is S.I.C.Tess, which does often do some interesting and unique cloths. Canclini (1925) is perhaps a third of the size of Albini in terms of production, and doesn’t own all of its looms - designing some to be made elsewhere. It is located up near Como, with origins as a silk weaver rather than in cotton. It was also one of the first to offer a large part of its shirting collection as cut lengths to bespoke makers - which most of the other mills now also do. 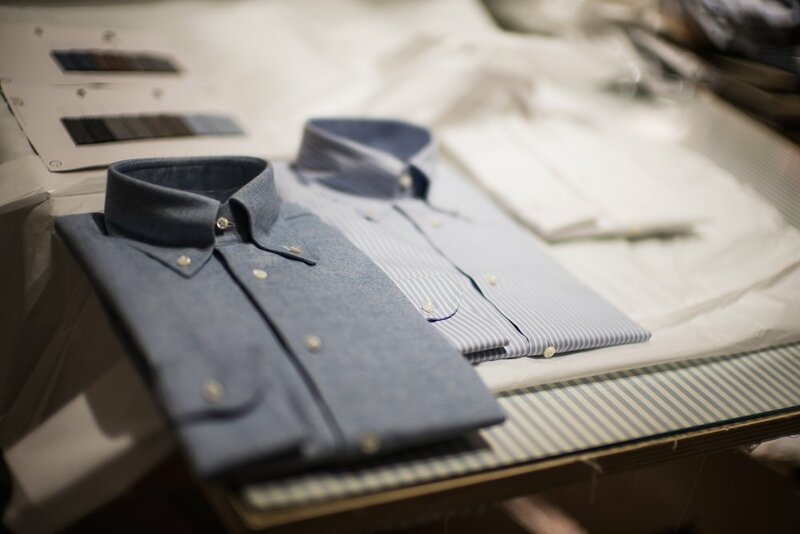 A few miles north of Canclini in Switzerland is Alumo - the best-known shirting name outside Italy. It is both a mill and a merchant, weaving everything itself (although no one outside Albini has the same degree of vertical integration). Alumo produces some very fine shirtings, but tends to be more classic in its collections and less experimental. Back in Italy, there are several much smaller operations. 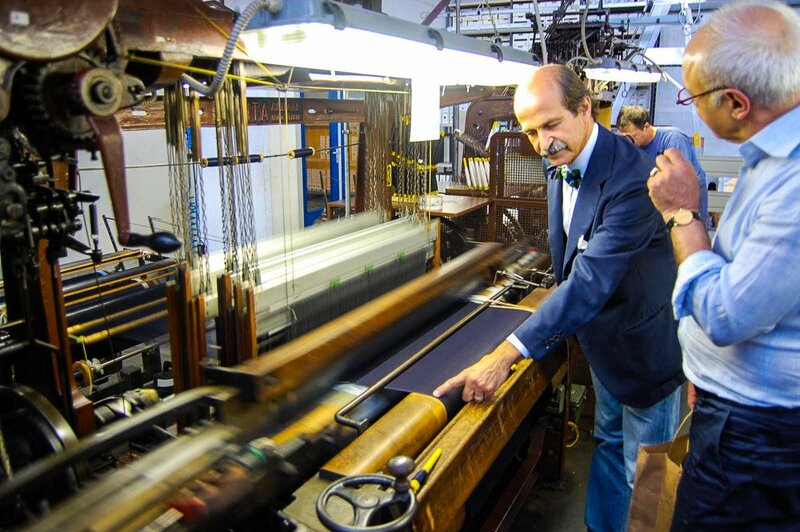 The first is Grandi & Rubinelli, which weaves from just 15 looms. It uses this size to help small brands looking for small runs and sampling. Bigger mills such as Albini have increasingly moved towards this end of the market, by introducing smaller dyeing minimums, for example. Then there is Solbiati, a linen specialist that is always worth looking at for that fibre. It was recently bought by Loro Piana. And finally there is Carlo Riva (above). Riva fabrics have done a good marketing job in recent decades, becoming known as the finest and the silkiest shirtings. It largely uses vintage looms with lower speeds and narrower widths (75cm or 90cm rather than the standard 150cm). These do produce particularly smooth, silky cottons, although generally not to my taste - they have a tendency to look too fancy and wrinkle easily. Riva cloths are also produced in smaller numbers by Bonfanti, which got part of the production when the original company was split in 1995. Outside of Italy and Switzerland, Portuguese mill Somelos has a strong reputation for quality at lower, highly competitive prices. And then the big competition comes from Turkey, China and India. But nothing that should really be considered by bespoke shirting customers. On that point, I tend not to favour the superfine shirtings (such as the Giza 45 or Riva fabrics) because they are so dressy (and therefore only suited to the most formal outfits) and expensive. The issues are similar to superfine suitings. But, the standard qualities of the mills mentioned here will generally be a step above cheaper cloths from Turkey or Asia, and worth buying over them. For example, many ready-made denim shirts are made with single-ply rather than two-ply yarns. This can make them look more distressed or worn-in, but two-ply denims will get softer and more comfortable with time - rather like Scottish cashmere. And having said that, I would conclude that while it’s worth buying this level of quality, I wouldn’t recommend selecting shirting cloths based on the brand or mill. 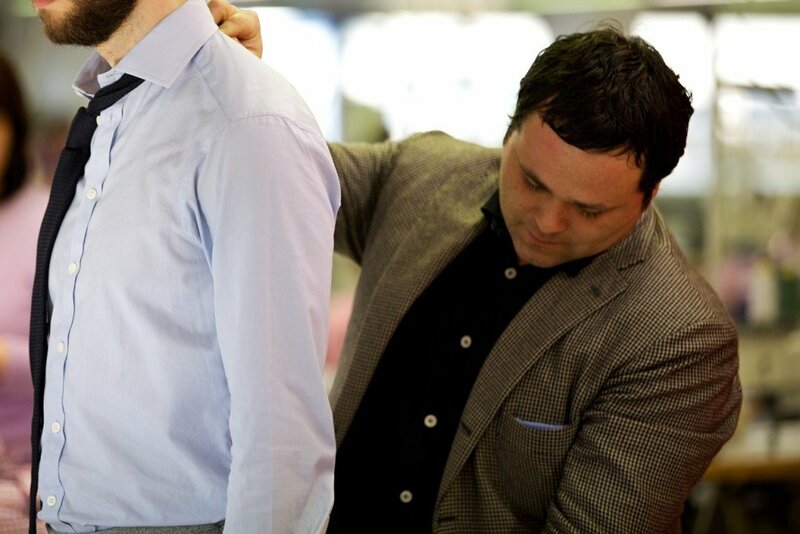 As with tailoring, it is the fundamentals of fibre, weave and finish that are important. The size and structure of the mill shouldn’t be a factor. Short-sleeve Friday Polos are back! You can follow the discussion on Shirting mills and brands explained by entering your email address in the box below. You will then receive an email every time a new comment is added. These will also contain a link to a page where you can stop the alerts, and remove all of your related data from the site. It would be interesting to do a custom run of a PS shirting (maybe a denim? ), like the Breanish Tweed run. What do you think Simon? 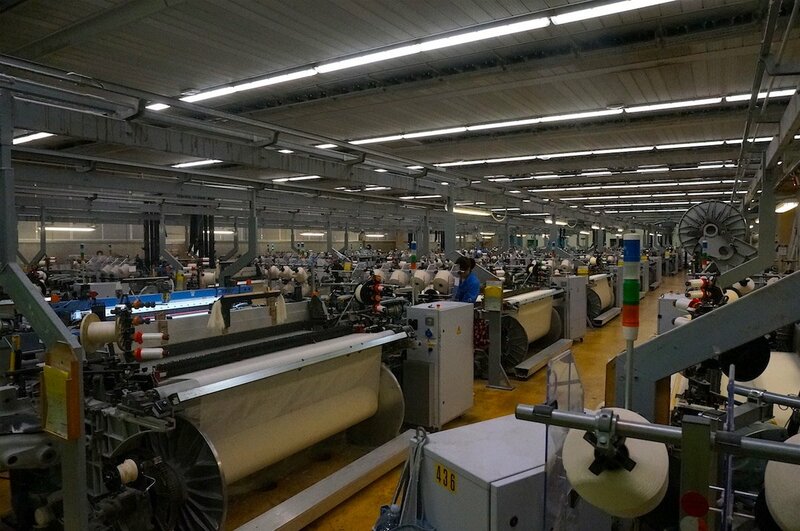 Do any of the big Italian RTW manufacturers integrate their own cotton production, as they do wool? I’m thinking of Zegna or Loro Piana for instance. I haven’t seen experienced that myself – could you be more specific on what you mean by lower quality? On Soktas, they’re a decent Turkish producer, and attempting to produce Italian designs away from Italy in a similar way to Monti. But I’d generally stick to these true Italian makers, as mentioned. Do you know any reliable source of online sample pictures? 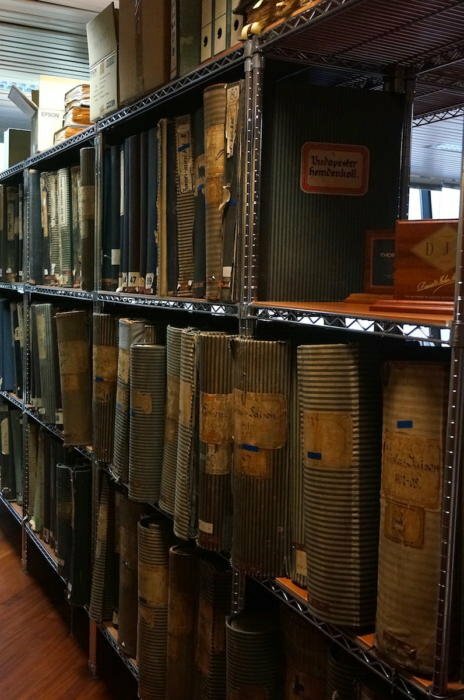 Clearly its always better to see things in person but its useful to be able to get an idea of whats available – particularly if you’re dealing with a travelling tailor who (a) wont always want to carry every sample book that exists and (b) you may only see once every few months…. took a year to get my first linen shirt made, even though to an existing pattern, due to them not bringing those books in winter and me not being able to meet them in spring etc. It’s worth remembering that a mill selling cloth directly to a customer is always going to be very expensive for them, in terms of time taken, shipping, stock and management etc. The business model of the merchant is already a very hard one to manage given the number of customers they have (tailors) making a very large number of very small orders. Interesting you don’t include Acorn. I know they’re far from the quality of the best of mills you mention but I would have thought they were still in the league of shirtings worth considering when ordering bespoke? Keen to hear in what ways you think they fall short. Their quality is decent, but I don’t include them (a) because they are not a mill, but a merchant. So they design and stock, but don’t weave anything themselves. (Although they do use English mills, which is a point of difference). And (b) because they’re usually pretty expensive compared to the Italians without higher quality. The good thing about Acorn is that they have all their shirtings online. That makes it pretty easy to order once you have found a good shirt maker. Is there quality issue? Some tailors on SR use them (e.g. C&M). An extremely informative article.Like the fact that you actually gave your own conclusion (with explanation) instead of just sitting on the fence. However I notice you missed out on Testa/Ateliar Romentino? How would you rate it? For many years I bought my shirts from Charvet and there, despite the plethora of choice, reference was typically only made to weight, texture etc, rather than to provenance. For a while now, I have been using a tailor in India who has perfected two patterns for me (formal and casual) each with their own collar shape, and who lists Alumo, Albini and G&R. I have many shirts from each cloth, and tend to go Alumo for the most formal, G&R for great stripes and checks, and Albini for oxfords and pinpoints. Once you have weight, texture and pattern, everything becomes quite simple. I am looking for a good tailor in India. Could you share with me the details of your tailor? Hi Nick, pls share the tailor details, would be great to have a referenced one. Please email me with the tailor’s name and contact details. I would love to get some shirts made with David & John Anderson fabric here. Thank you. I could have included Testa, yes. There are some other small ones but I tried to list the main players. The real story here is …. what happened to British shirting cloth !? The same thing that happened to the rest of Britain’s manfuacturing sector – Globalisation combined with a lack of political will to apply the sorts of protectionist measures that have kept Italian cotton mills going. There are still a handful of domestic cotton manufacturers out there but most of them seem to concentrate on niche markets such as luxury furnishings, homeware and the aviation industry. The focus seems to be on producing small quantities to sell at high prices, rather than mass producing bog-standard cottons that can easily be purchased elsewhere. Are Albiati and Albiate different companies with a nearly-identical name, or are they the same with different spellings? I’ve seen more wide references to Albiate and am so curious. Thanks! In depth journalism yet again, great stuff Simon. On the subject of Asian mills, what would you suppose are the biggest factors preventing them from reaching the same fabric quality as the Italians, Swiss and Portuguese? Don’t mention it, I just complement what I see. And what I see disagrees with the people who’ve been criticising your credibility (yep, unfortunately I’ve read such comments in your other posts too. So much negativity.) I see your points, and perhaps they can be attributed to the peculiarities of Asian business sense. Thanks for sharing your insights. Realised there is also Bonfanti Tessuti.Your take on it? FYI if you look about, some of the mills have swatch images online. Grande & Rubinelli has a few. Bonfanti has over a hundred. Canclini has over a thousand. Sorry if this is a stupid question but do any of those mentioned make shirts? Or they just make the fabric for shirts? Simon, you did a great piece on luxury & bespoke margins. What are the typical margins on shirts? Less I assume. There is rarely a consistent margin for a category, like shirts. It more depends on the brand that is making them, and how they are made – like that example of luxury v bespoke brands. Let’s say bespoke. Is there a typical margin? Who makes the best heavy and dry pinpoint fabrics (millipunti)? Have you heard of Gaztner(from Austria)? 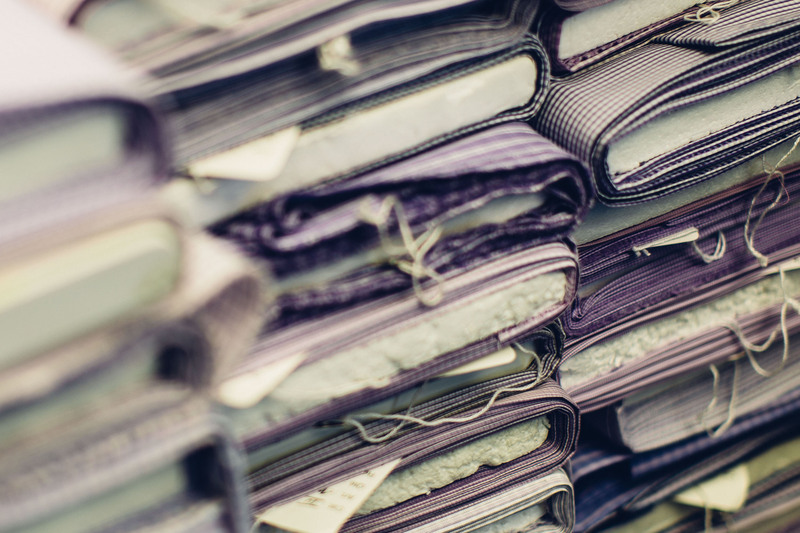 If you do what do you think of the shirting fabrics in relation to the rest in your post? Would you know if S.I.C.Tess is produced in India? Or would this be the part of Monti that still produces in Italy? Simon, a few questions about shirts, if you will. As background, I find suiting is fairly easy to pick. I usually go for navy, blues and greys with different weaves and texture (basically anything that can be pulled off in court which includes separates). However, shirts have been surprising difficult. Yesterday, I had my first appointment with Luca in New York. While the design details were very easy to decide, I just could not select any fabrics. Can you please expand on your currently published advice re shirts. I would love to learn more about weaves, weight, and blends, and the shirt fabrics you have known. It would be useful to know about their all day comfort and ability to wick moisture, how they wear, etc. Personally, I am shooting for heavier fabrics with relatively looser weaves in a neutral palate of off-whites, and very light greys & blues, while continuing to play with texture. I find the light fabrics with high ‘S’ yarn numbers crumple and wrinkle if one so much as looks at them. Additionally, would you also further expand on your advice on buttons. As always, I remain very grateful to you. Sure, I can do more at a later date. Briefly, I would say that I wear 80% plain blues or those with small stripes and patterns. I rarely want to experiment with a shirt. And I usually pick standard poplins – you’re right, it’s not worth having the finest cottons. So I wouldn’t worry about the precise material, and just stick to whites and blues, with a few simple patterns. I own a Brown Harris Tweed SC, like your Caliendo Tweed, that I like to wear with denim and grey flanell. What about a Wool/Cashmere Hopsack? I ‘m a young tailor in Lima, Peru, always read your posts, very instructive, thank you for writing them. I want to import italian shirting fabrics to Peru, maybe not the most expensive but very decent quality. Can you recommend a brand? How would you rate MILETA a.s.? Great writing. Would like to talk more with you regarding this. We are looking for a good direct source from where we can order a good quantity of premium than premium fabric. We are based in India where there are thousands of dealers are waiting for premium suiting fabric. Please help us if Possible. Usually you can’t I’m afraid. Most are not set up to sell direct to consumers.